We are leading suppliers & trader of Worm Gear Chain Pulley Blocks in the industry. This equipment is designed such that it is convenient to use. We provide our clients a wide range of options at a very affordable price. The offered equipment work with high efficiency and is regarded for its precise design. Customers can avail these at reasonable prices. 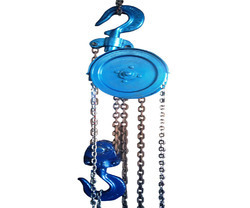 Uniquely positioned amongst the recognized business names of the industry, we are dedicatedly betrothed in offering an exceptional quality range of Chain Pulley Blocks. 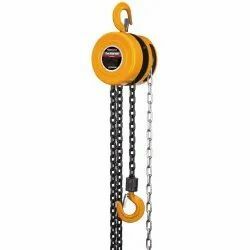 Reckoned amid one of the recommended firms, we are indulged in the domain of offering to our customers a comprehensive spectrum of Chain Pulley Block. Appreciated immensely owing to its hassle free functionality, effectiveness and industry proven designs, these offered blocks are easy to install and are highly reliable.